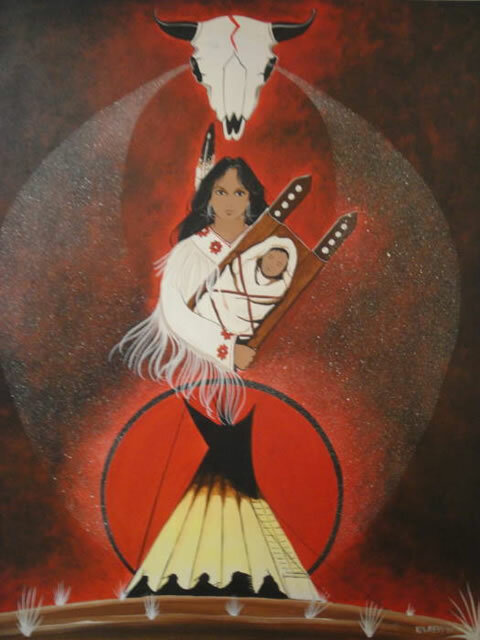 Kenny Allery an enrolled member of the Turtle Mountain Band of Chippewa Indians has been painting for many years. 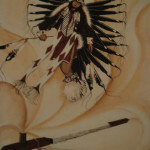 He started drawing at a young age, using materials such as pens, pencils and paper for his earliest works. 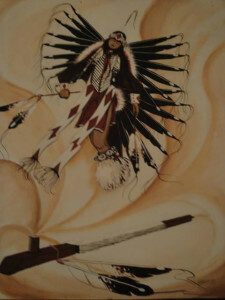 Later in life he attended the American Indian Art Institute in Santa Fe New Mexico. 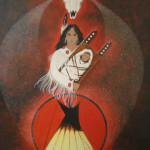 While at the institute he learned to work with paints and has focused on acrylic paints. His style is one of grace and beauty in movement and style. 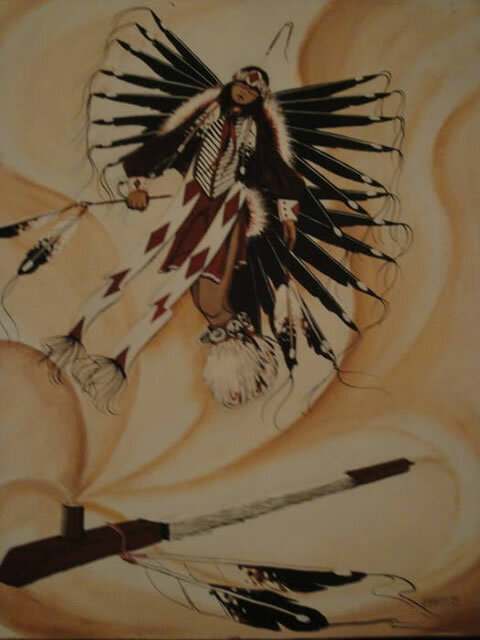 He continues to paint beautiful master pieces that adorn many of the homes on the reservation and beyond.